Some of my favorite quotes. What quote would you add? Thanks for reading CAPM and More! 100 Likes for CAPM and More! Thank You! The CAPM and More Blog achieved 100 likes from readers! Thank you very much!!! I’ve only been blogging for 2 months so this is huge for me! It feels good to be liked. 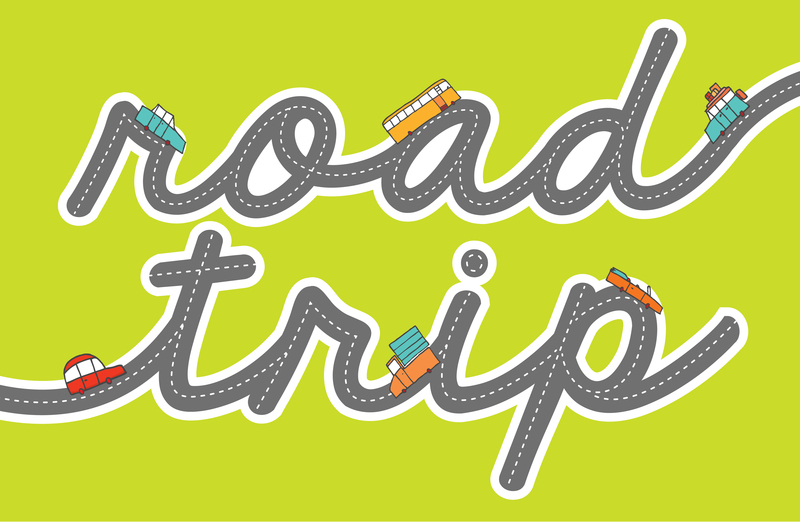 Road Trip Tips: Bring Back Good Memories From Your Next Trip! 1 – Visit the ATM before you leave – Cash is still king in many small towns and roadside stops. My wife and I tried to attend a community fair on a trip 2 months ago. There was a cash-only entrance fee and no available ATM’s. Many stores, gas stations, and food outlets have minimum amounts for credit or debit card charges. A few bucks in your pocket will be very helpful in times like this. 2 – Get an E-ZPass for your car – I know some people feel they don’t travel enough or go through toll booths enough to justify an E-ZPass. They forget that convenience has a value and stress has a cost. I love being able to zoom by the toll booth in the E-ZPass lane! Without the E-ZPass, I would go crazy if I had to wait behind a long line of cars at each toll booth. To me, a less stressful vacation is worth the small cost for the E-ZPass. Note: Here’s a list of other toll collection services. 3 – Join the American Automobile Association (AAA) – The benefits are enormous; travel information, travel discounts and travel insurance. They’ve even added identity theft monitoring as an option. The main reason to join … roadside assistance! I locked my keys in my car on one trip and had my car break down on another. In both cases, all I had to do was make one call. 5 – If it’s warm, buy bug spray (or check the expiration date) before you leave – You never know when you will need this. I’ve been attacked while pumping gas! Flying critters are always on the lookout. Don’t be their next victim! I always have a can or some wipes in my trunk during road trips. I hope this helps! Vacations are about building memories. These tips will help make them good memories. What tips would you add? My wife and I travel together and, we love it! An excellent trip for us is a long drive with a good audio-book and scenic views. We’re over the moon if we have a couple interesting of places to visit and a good meal at the destination. I maintain a list of places to go. When ever we have a weekend with no commitments, we’re in the car going somewhere! It’s about spending quality time together and building memories! I have a lot of single friends who rarely travel because, well … they’re single. If you’re actively dating, this may not be a problem. Dating and travel go great together in the advanced stages. If you’re not dating and you hate to travel along, then it’s pizza time in front of the TV. Pick a group. Join. Make new friends … and start traveling! How is Your Wheel of Life? A seminar I attended introduced me to the concept of a “Wheel of Life.” I LOVED IT! What is the “Wheel of Life“? In short, it’s life balance. It’s all the areas of your life that contribute to your happiness and well-being. The theory is simple. You have contentment when these areas are in balance or going well. You have sleepless nights, headaches and misery when the wheel is out of balance. As I said, there are a lot of systems out there and a lot of wheels. I love the concept of life balance and the constant battle to keep it in balance. I’m adding this concept to my blog. Most people fail at the balance thing. I figure the more information I have, the better my chances at contentment. Why not share as I do the research? Ok fellow bloggers. Who’s looking for a guest post? I listened to an old episode of The DoubleX Gabfest Podcast (now called “The Waves”, 09/18/2014). One of the topics was a discussion on an article in BuzzFeed. The article was “28 Ways to Spot a Real Man.” This got me thinking … What are the standards for a ‘real man’? Well, that’s my list from the articles above. What would you add or remove? Making changes! I have enough posts and received enough feedback that it’s time for some remodeling on the blog. The graphic shows my emotion as I move forward with this project. The hardest part is deciding how to use categories. Think positively … Network … Exercise daily … Eat healthy … Work hard … Stay strong … Build faith … Worry less … Read more … Be happy … Volunteer … Relax … Love … LIVE! Road Trip Time But Will Your Car Make it? When Should You Sell Your Old Car? 50 Posts for CAPM and More!! Road Trips: Should You Drive Your Car or Rent a Car? Ask Yourself, How Much Time, Money and Energy?